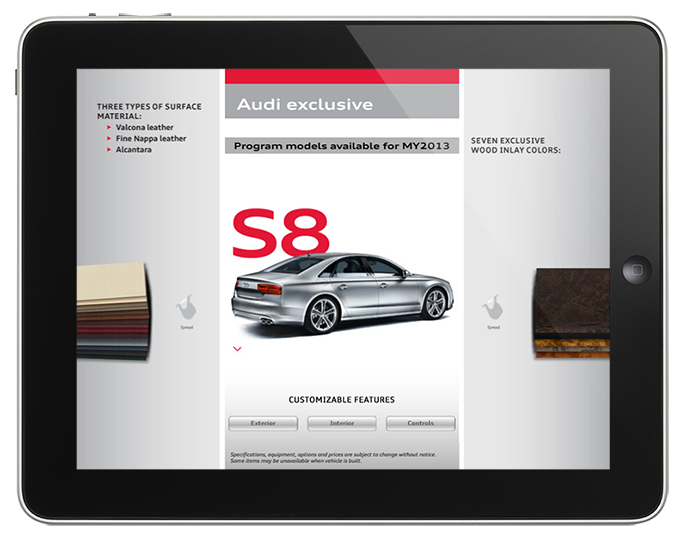 Audi Exclusive is Audi’s in-house custom tailoring department. An Audi Exclusive Custom Vehicle includes such options as choosing from 16 different leather and stitching combinations, with seven different inlays to any exterior color so that interior and exterior match whatever combinations the customer chooses. 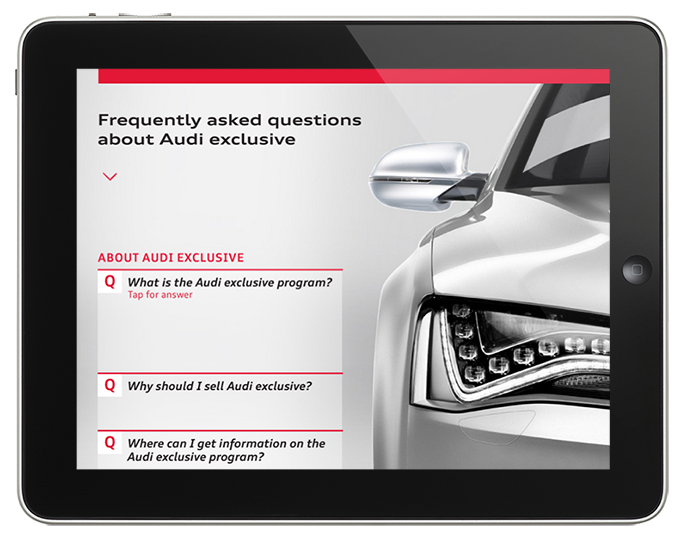 The Audi Exclusive App was created as an in-store promotional sales piece where customers could review in an interactive manner the breadth of customization that the Exclusive program offers.